adidas, the leading global football brand, has revealed the new Orlando Pirates Football Club Away kit for the forthcoming 2015/16 season ahead of the Home kit, for the first time in its history. The 2015/16 Away jersey offers a modern and stylish V neck alternative while retaining the fans' favourite red colour way. 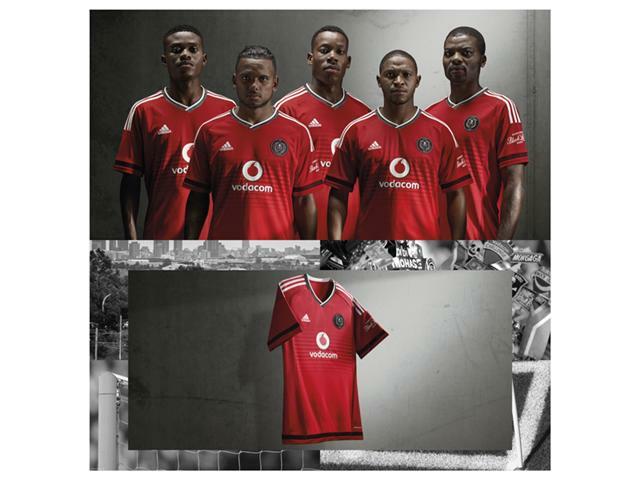 "This year we are excited to #bethedifference and together with Orlando Pirates have developed what we believe will be a trendy jersey, that further entrenches a strong emotional connection with the club and stimulates a pride in the jersey, particularly amongst the young supporters," commented Adrian De Souza, Senior Category Manager Football, at adidas South Africa. Other than returning to a V-shaped neck, the power red away jersey has a lighter red grading on the chest, giving it a brighter and more vibrant look. The collar and sleeves have mesh inserts giving the jersey a dotted fashionable look. The badge is 3D and as before, the back of the jersey is embossed with the skull and crossbones. TechFit™ - Designed to help improve speed, endurance and awareness, TechFit stabilises muscles and focuses energy. This helps players to generate explosive acceleration and deliver maximum power output. ClimaCool™ - adidas ClimaCool technology provides a mixture of heat and moisture controlling materials, ventilation channels and 3D fabrics to improve air flow to the skin in key heat zones meaning that when the body heats up during exercise, for instance, ClimaCool ensures that the athlete remains cool. The away jersey is available for ladies, kids as well as infants (baby grows). It will be available on the 9th June at adidas Performance stores as well as key sports and football retailers countrywide at a recommended retail price of R699. 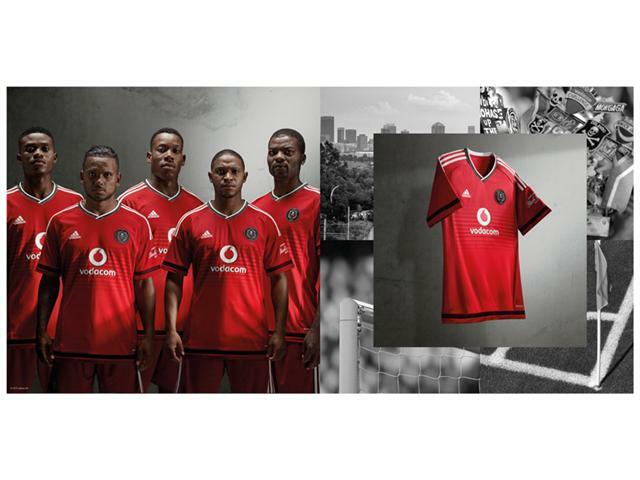 The Orlando Pirates Away jersey will be donned for the first time during the CAF Champions League game against AS Kaloum Star of Guinea at Bidvest Stadium on the 6th June 2015.